Well, the rumors were true. 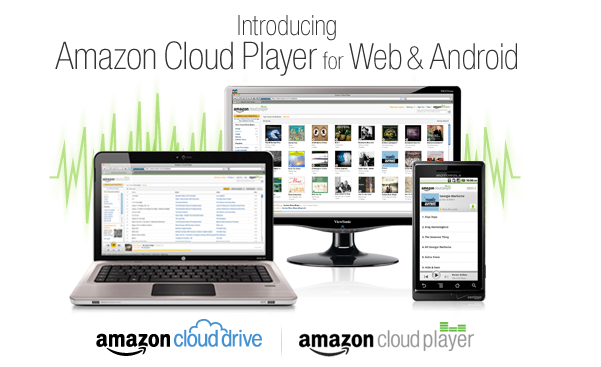 Not only is Amazon entering the “music locker” space, they’re doing it before both Google and Apple — as their “Cloud Drive” and “Cloud Player” have just gone live on their site tonight. Any album bought through Amazon MP3 is stored for free in your Cloud Drive — a very nice perk. If you buy one album from Amazon MP3, they’ll upgrade your Cloud Drive storage to 20 GB for free for a year — another nice perk. Normally, 20 GB of Drive storage will cost $20 for a year. 50 GB is $50. 100 GB is $100. And so on. All the way up to 1 TB for $1,000. The Cloud Drive storage isn’t just for music — Amazon notes that 1 TB will hold 70 hours of HD video. Other files can be uploaded — this includes music, movies, photos, and even documents.